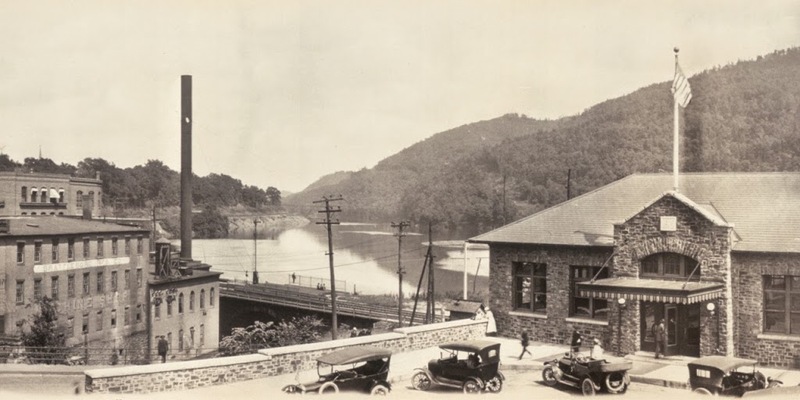 Looking toward the Connecticut River from the corner of Main & Canal Streets in Brattleboro, Vermont, around 1917. Image courtesy of the Library of Congress. 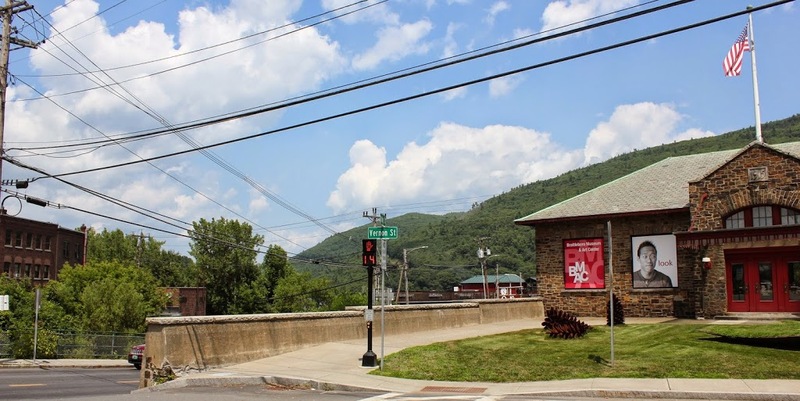 On the right-hand side is Brattleboro’s Union Station, which was brand new when the first photo was taken; it opened in 1915. 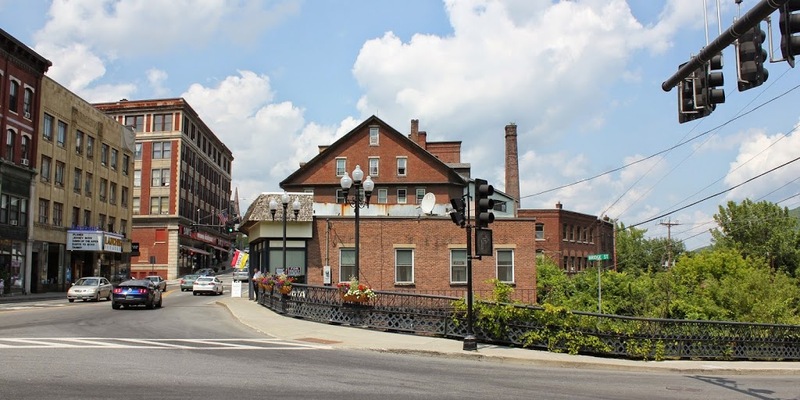 It was built along the Central Vermont Railway, which provided service north through Vermont to Montreal and south through Massachusetts and Connecticut to New London. 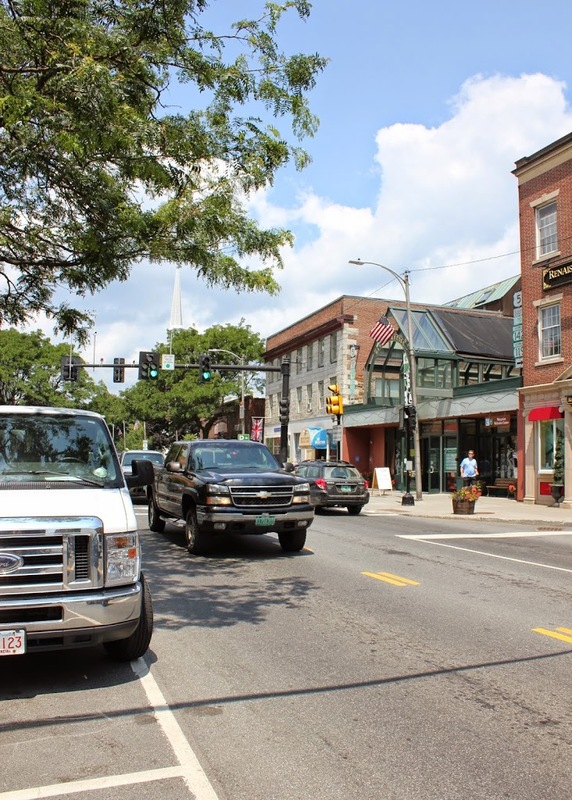 Today the tracks through Brattleboro are operated by the New England Central Railroad, with Amtrak providing passenger service on their Vermonter route. In the distance in the 1917 photo is the 1878 railroad arch over the Whetstone Brook. It isn’t visible in the 2014 photo, but it is still there, and still carries the railroad over the brook. 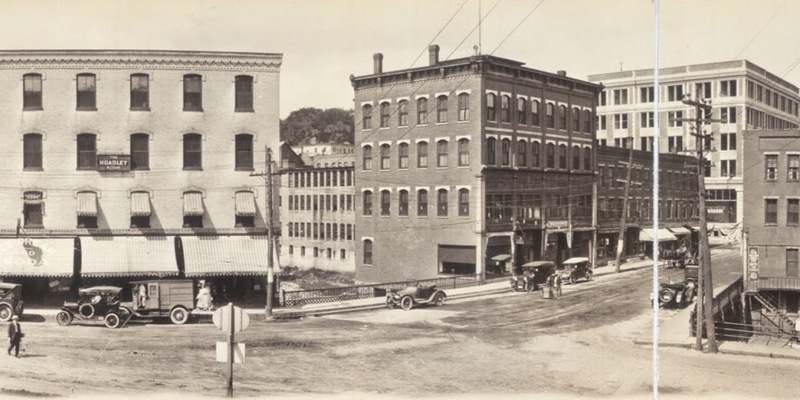 Looking north from the corner of Main & Canal Streets in Brattleboro, Vermont, around 1917. Image courtesy of the Library of Congress. 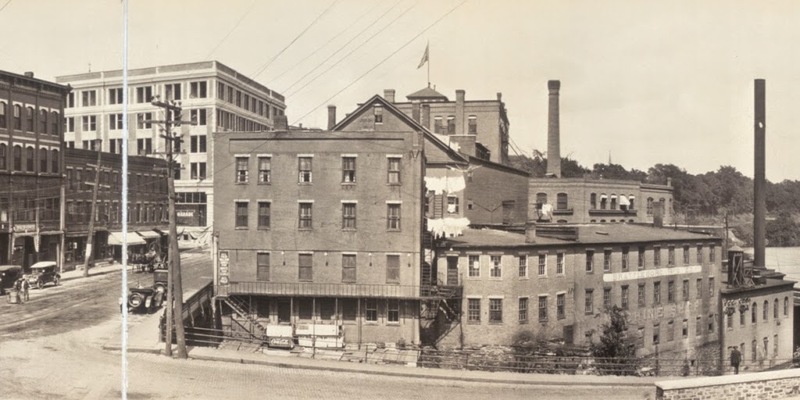 Taken from across the street from the photos in this post, the 1917 scene shows some of the industrial development along the Whetstone Brook near its confluence with the Connecticut River just to the east (right) of this scene. 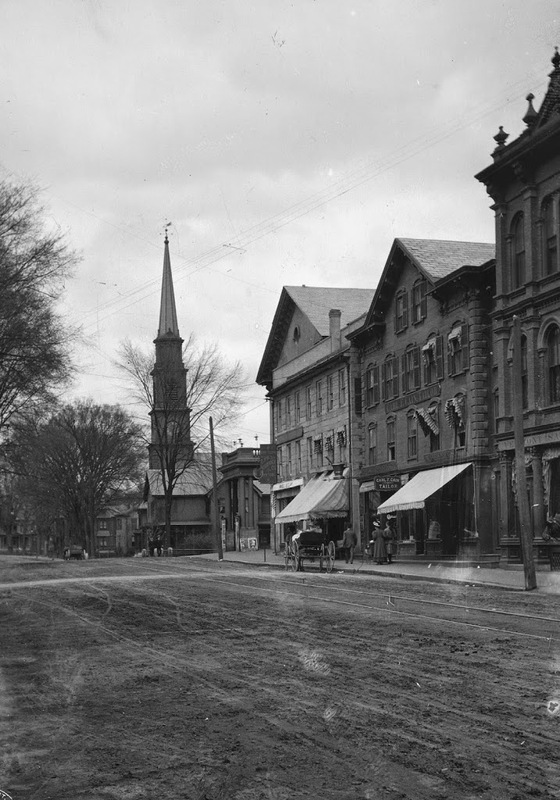 Many of the buildings still exist, with the oldest one in this scene being the 1850 Van Doorn/Culver Block, in the foreground with the tall gabled roof. 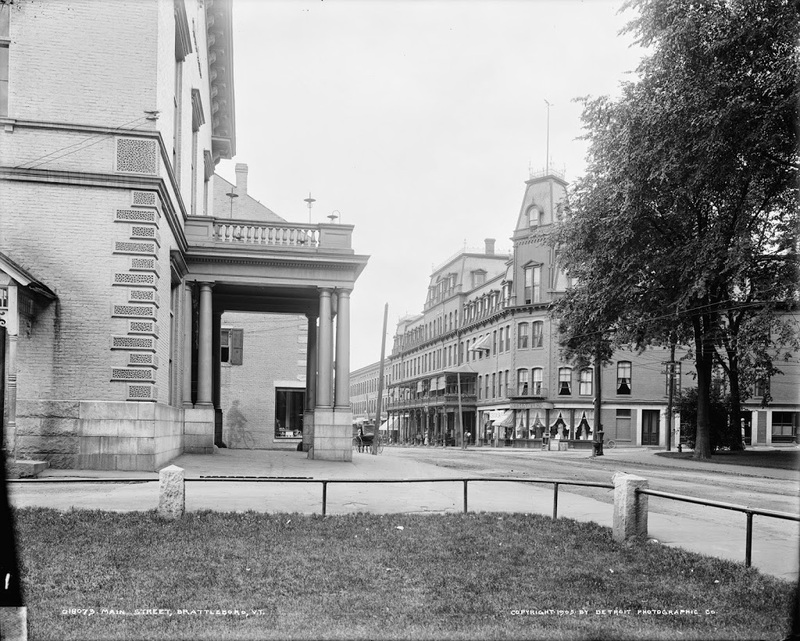 Facing northwest from the corner of Main & Canal Streets in Brattleboro, Vermont, around 1917. Image courtesy of the Library of Congress. 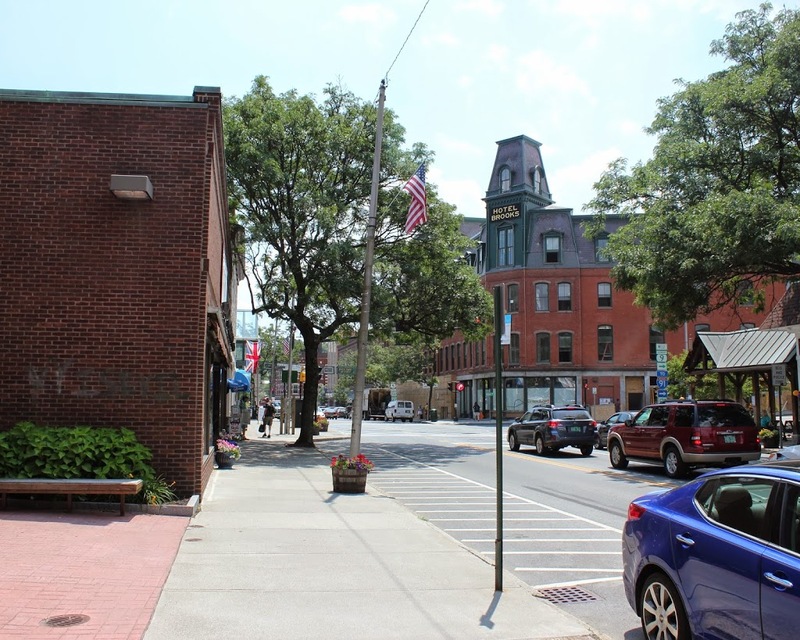 The building in the right-center of these two photos is the Wilder Building, which was built in 1875. 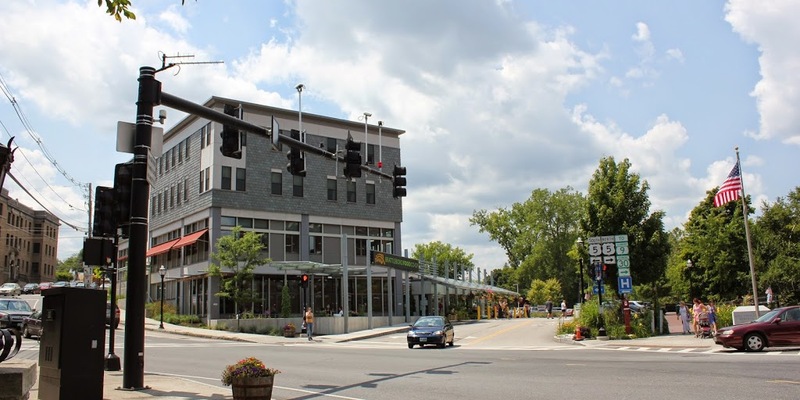 It is at the southern end of Main Street, and is directly adjacent to the Whetstone Brook. 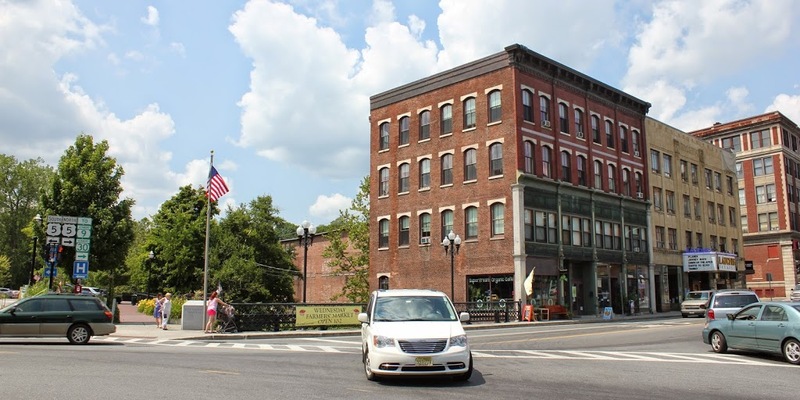 In 2004, the top two floors of the building were heavily damaged by a fire, but the historic building was able to be restored, and today it continues to be used for mixed-use residential and commercial purposes. Further up Main Street to the right is the 1936 Latchis Hotel, which replaced the three-story commercial building in the 1917 photo. 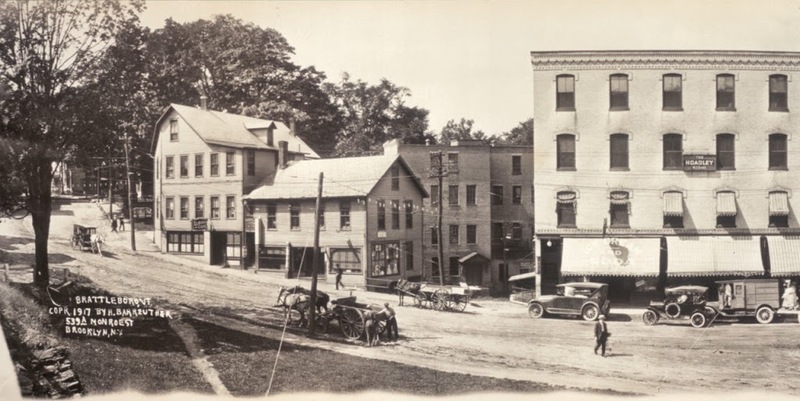 On the far right is the Barber Building, located at the corner of Main Street and Flat Street. It was built in 1915, so it was brand new in the 1917 photo, and today it is home to Sam’s Outdoor Outfitters.